As a Swiss based international company, we understand the values of RELIABILITY & QUALITY and practice them every day. Our team of industry experts will help you concentrate on your business and keep track of all your shipments, products and projects. If you need more versatility with your business, check out our three fulfillment facilities inside and outside the EU. We are a member of the Chamber of Commerce of Switzerland, Austria and Liechtenstein. Presentation about our company can be found here. Presentation about our software EasyCommerce can be found here. WordPress Theme built by Shufflehound. 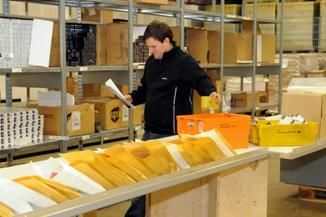 © Swiss Mail Solutions GmbH. All rights reserved.